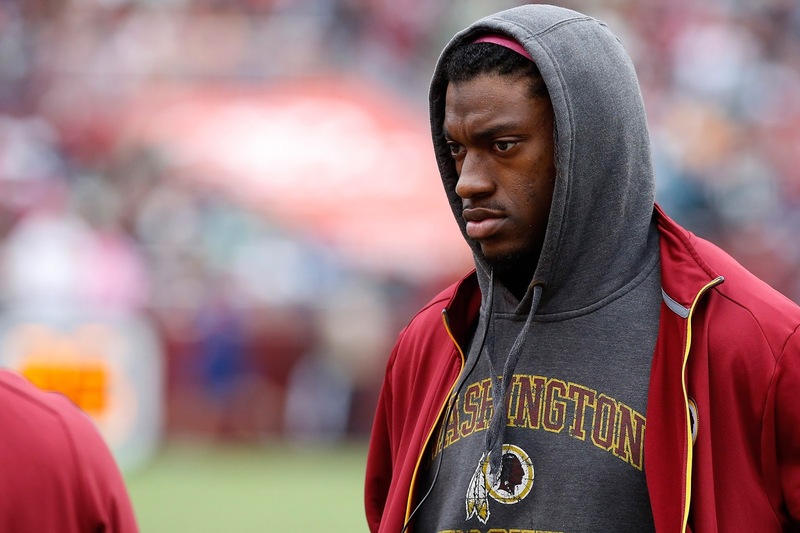 Rodney Harrison Says Robert Griffin III Is a "Flat-Out Jerk"
“I was not a fan of Robert Griffin III the last year and a half, last couple years,” Jason Goff said this week during the Spiegel and Goff show on 670 The Score. “He was hurt, he seemed like he was saying all the wrong things. But Kirk Cousins is bad. And it seems like all the grenades that everyone is trying to fall over — because they were proved right that Robert Griffin III wouldn’t be a lasting, viable option — it seems like nobody is making the same comments about Kirk Cousins, who has been underwhelming at best, and who is getting to the point where he’s going to start losing football games for the Washington Redskins. “Well first and foremost, we see every week that there’s a lot of bad quarterback play, so I think we’re used to that. What we don’t see is guys being jerks at the quarterback position. And Robert Griffin III was a jerk. He was a flat-out jerk. And when you look at Kirk Cousins, he comes and he says all the right things. And he’s trying, he’s fighting, his team is out there supporting him, he’s doing everything he can to win. I mean from a media standpoint, Harrison makes some major points. We all know that analyst and reporters feel better about the guy who mans up after a bad performance or answers the questions the right way.